What Hollywood’s stars must do to be in a good shape? We see on TV only the results, but not the effort they all make to be in that good shape. Some of them practice fast diets which are not always healthy ones. Jennifer Hudson used her smartphone! The American idol winner had a diet menu done by the nutritionists and put it in her smartphone as a reminder. She ate only when her smartphone alarmed her. In the meantime if she felt hungry, she didn’t eat anything. Jennifer didn’t fall into temptation and respect only the smartphone alarms. 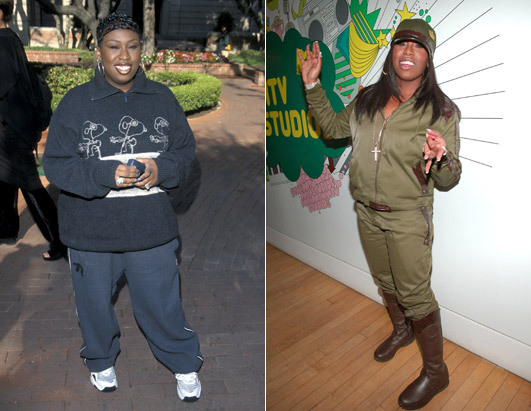 Missy Elliott was big woman with male figure. This famous raper singer lost 32 kilograms with healthy food, control of her appetite, drinking water and regular exercises. She was under supervision from her private couch. Her success is result of her strong will. Oprah Winfrey made a public announcement in 2010 that she has an eating problem and is in constant battle with the kilograms. She tried a lot of fast diets, but in the end the winner tactic was to avoid starch and carbohydrates and to walk 1 hour per day. If you practice this, your heart will thanks you, so put yourself in the most comfortable sneakers you have and go out. Kelly Osbourne after years of fight with her figure, in the end she succeeds to put herself in a shape. She fallowed the nutritionist’s advice what to eat and spend a lot of time in a gym. Her secret is a lot of fruits and vegetables in her menu and practicing pilates. Courtney Love was always in a good shape, even sometimes she was too skinny, but in a period of her life when she tries to give up drugs, she gained kilograms. To be again in shape, she tries to live healthy life. Her secret is in practicing yoga and eating fish and vegetables. « HEALTHY CLUB SANDWICHES !